Situated amidst the lush green garden and the world renowned pristine Dal Lake, this hotel offers one of the best relaxing and comfortable stay to the tourists. The resort is enveloped by the verdant landscape and picturesque environment that promises an unforgettable getaway to every guest. The enchanting views of the gardens will be an alluring treat to watch and provides a memorable experience to the visitors. The hotel with its top-notch amenities and facilities ensure that the guests remain happy and have a pleasant stay. The beautiful interiors and fully furnished rooms of the resort will certainly captivate the attention of the tourists. The resort offers best facilities and first-class hospitality services against the backdrop of the stunning ambience and the cool refreshing breeze. After a tedious and hectic day of sightseeing, the visitors can enjoy a boat ride in the crystal-clear water of the Dal Lake and rejuvenate their body. 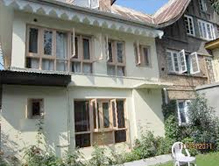 Accommodation JH Bazaz is one of the best hotels in Srinagar that offers 10 elegantly designed rooms with attached posh bathrooms. 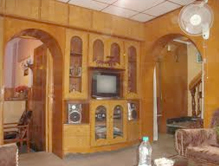 The rooms are very spacious that provide a pleasant stay to the tourists during their holidays in Srinagar. The rooms have the excellent amenities such as the safe deposit box, Wi-Fi, air conditioner, television, room heater and shower caps. Through the windows of the rooms, the visitors can get a wonderful opportunity to see the unparalleled beauty of the nature. Dinning The visitors during their stay in Srinagar can get to taste the lip-smacking cuisines. The restaurant is splendidly decorated and offers exotic food prepared by the experienced chefs.